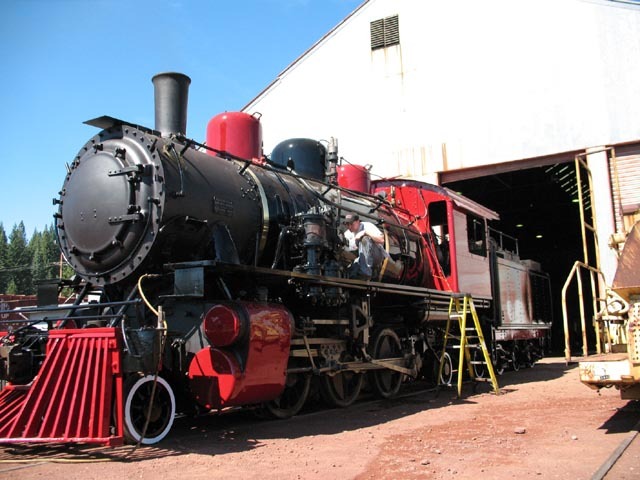 The McCloud Railway Company restored steam locomotive #25 to operation in time for a series of special excursions operated over the Labor Day weekend in 1997. 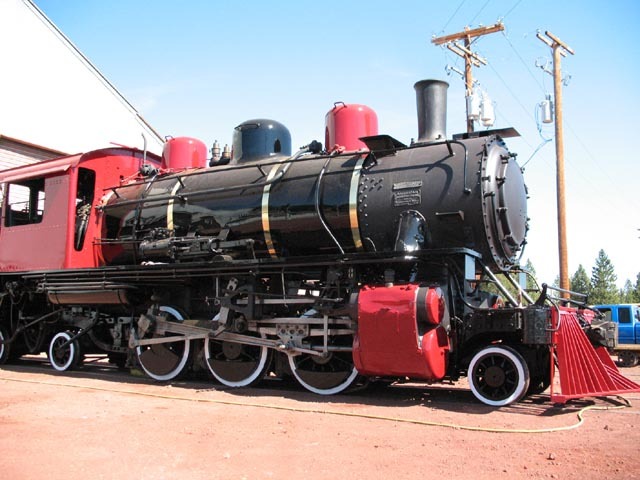 The locomotive operated regularly over the road until President's Day weekend in 2001, when the larger and more powerful #18 returned to service. 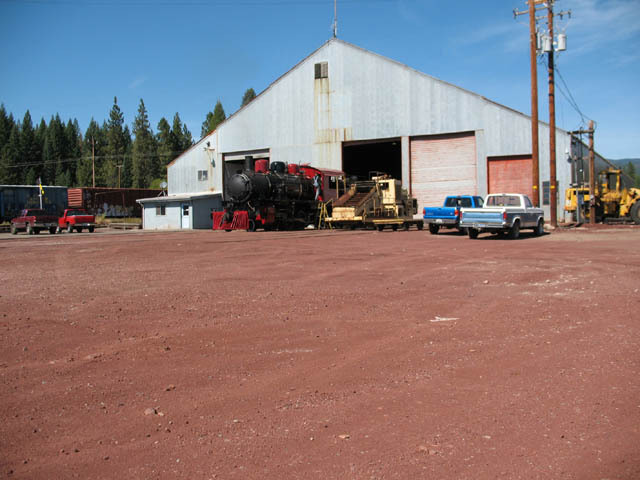 The two locomotives operated together for one trip, after which the railroad took the #25 out of service and placed it in storage in the back of the shop building. 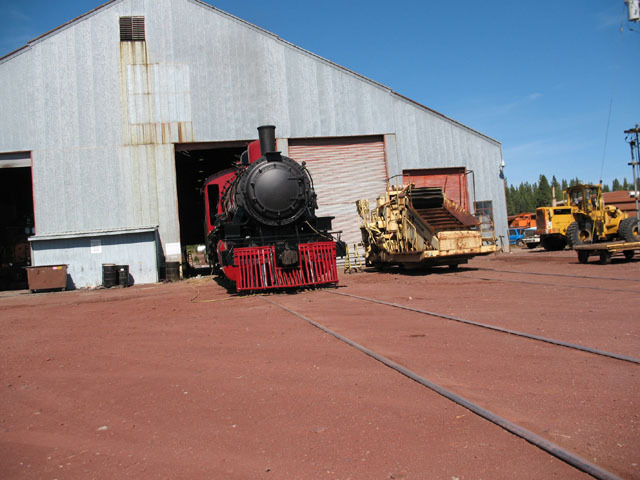 The locomotive rested in the shop for six and a half years. 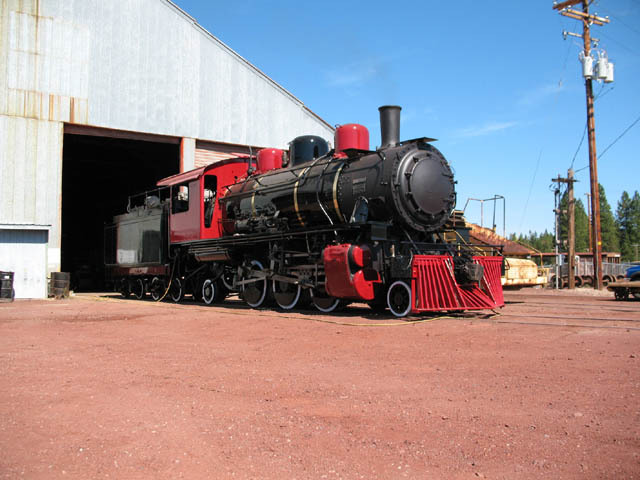 In the late summer/early fall of 2007 a movie production company commenced restoration work on the locomotive. 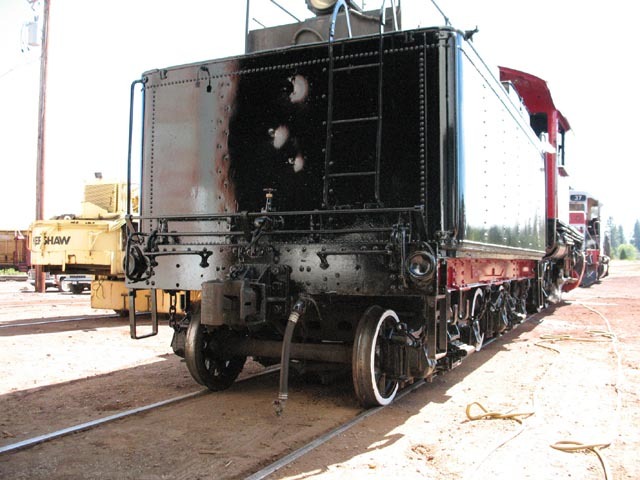 The work included the boiler work and certifications needed to legally operate the locomotive and a substantial cosmetic alteration. 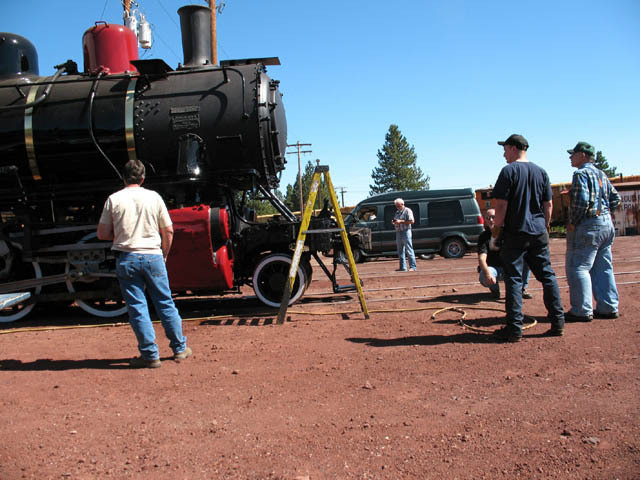 The crews had most of the work done by mid-Fall 2007, at which time the plans to use the #25 in the contemplated movie fell apart. 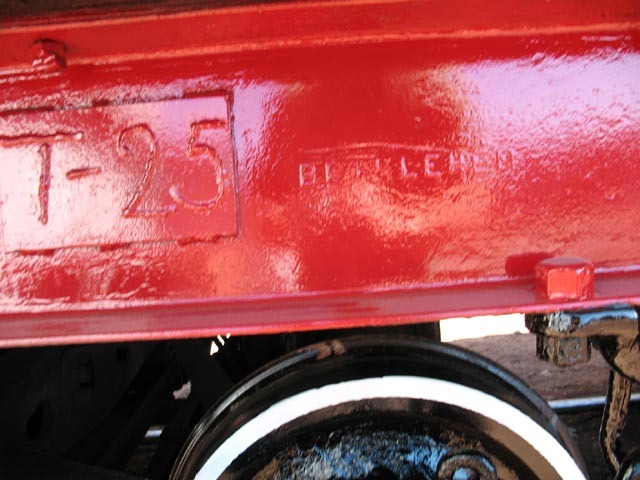 The #25 is now operational again, but is back in storage awaiting further developments. 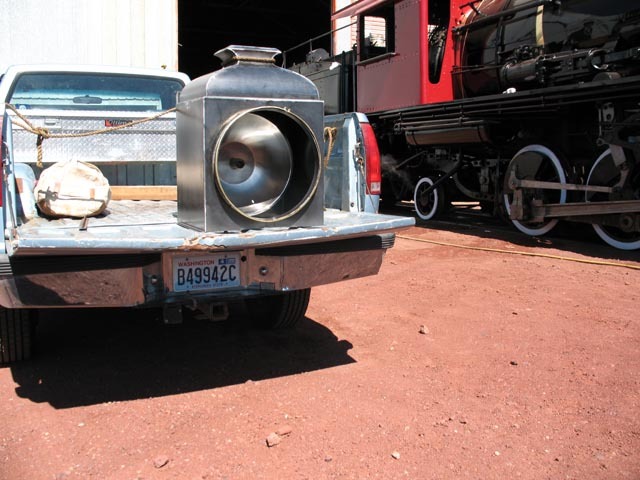 Dennis Sullivan captured the following photographs of the #25 as it was pulled out of the shop for some additional work. 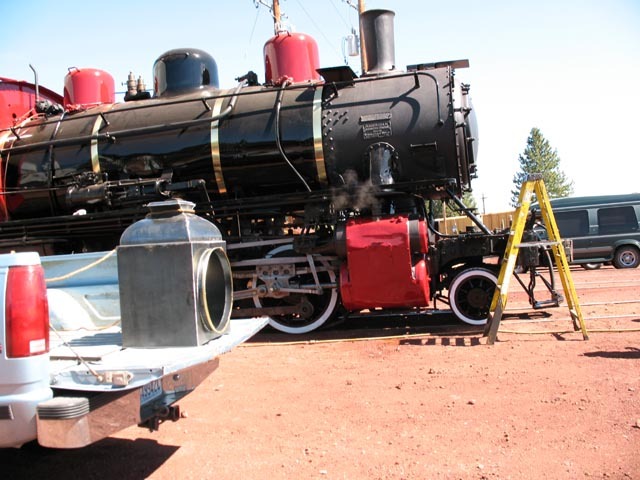 The locomotive was under steam, but persistent problems with the air pump limited the locomotive's ability to move under its own power. 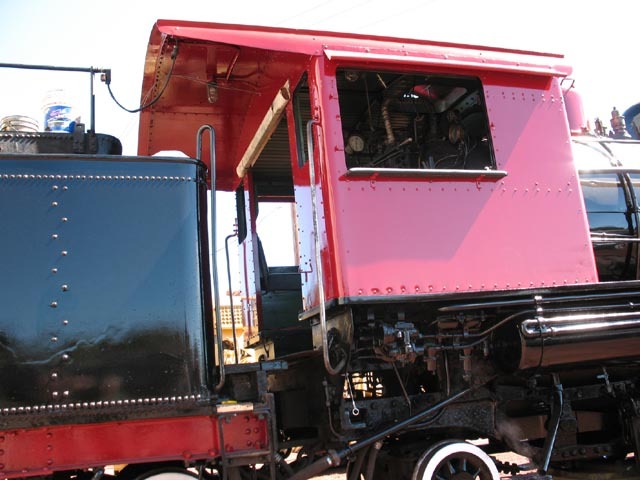 Note the new headlight in some of the photographs. 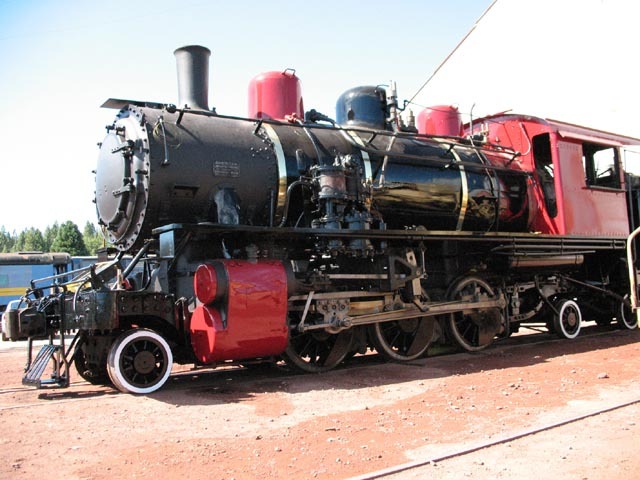 The cosmetic modifications made to the locomotive are said to be fully reversible should any possible future movie uses also fall through.